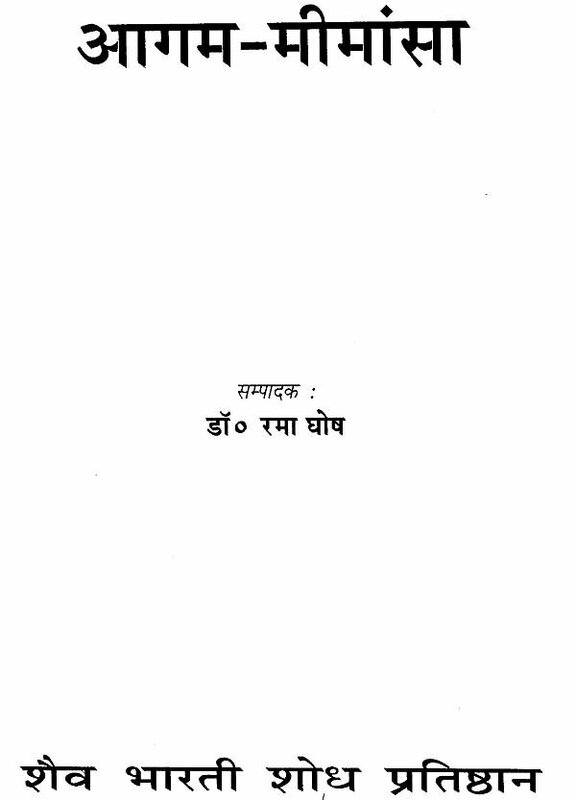 This memorable piece of publication is the proceeding of the seminar held on the occasion of the birth centenary celebration of the Jagadguru 1008 Virabhadra Shivacharya Mahaswamiji, the 84th Pontiff of the Jinanasimhasana of Jangamwadimath. The seminar was the joint venture of the Shaiva Bharati Shodha Pratishthana, the educational wing of Math and the department of Dharmagama, Faculty of Sanskrit Vidya Dharma Vijnana, Banaras Hindu University. 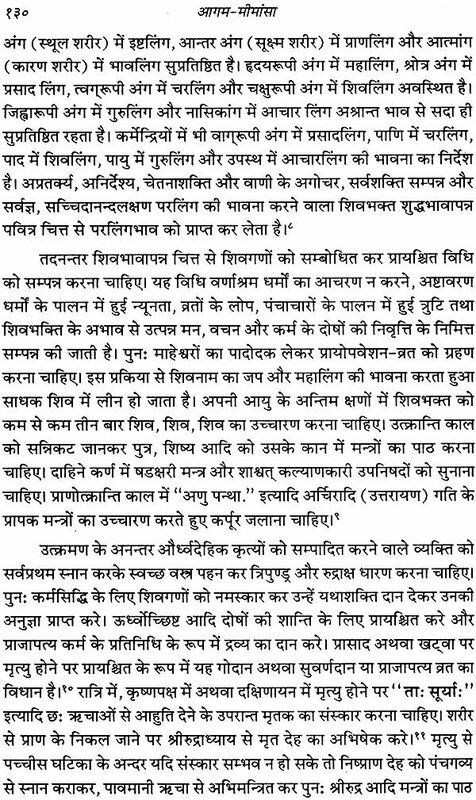 Learned scholars from the various parts of India have discussed different aspects of Virasaivagamas and their implications on the religious and social life. In presidential address Prof. Shivakumar Swamy has advocated the relation of Veda and Agama, the parallel streams of our scriptures. Both the scriptures were manifested by Siva himself. The time of the scriptures cannot be ascertained correctly. Mahamohopadhyay Gopinath Kaviraj holds that scriptures are eternal and revealed by Siva himself. It may be revealed in any time and at any place and also goes back again to the sphere of Reality as per the will of God. So, historical enquiry regarding the time of the revelation of scriptures is irrelevant. The knowledge and practice of Agama is practically flowing with the tradition. But the study of the historicity of the events continues. 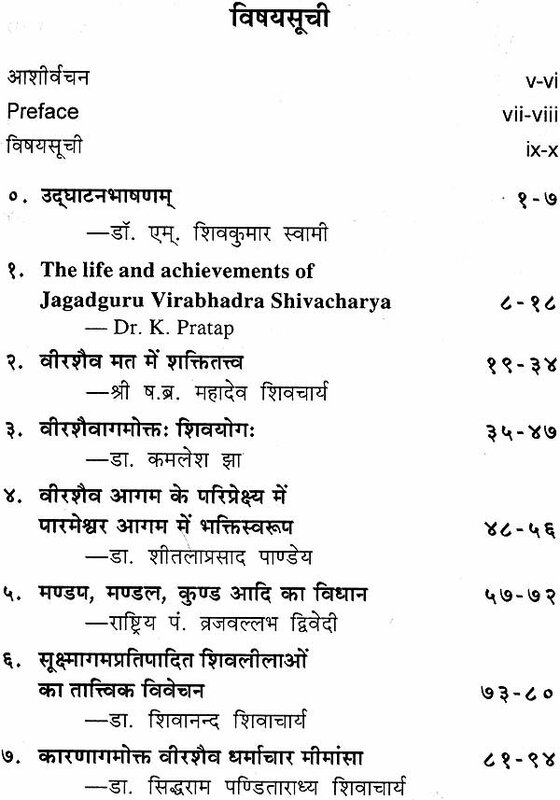 This memorable piece of publication is the proceeding of the seminar held on the occasion of the birth centenary celebration of the Jagadguru 1008 Virabhadra Shivacharya Mahaswamiji, the 84th Pontiff of the Jinanasimhasana of J angamwadimath. The seminar was the joint venture of the Shaiva Bharati Shodha Pratishthana, the educational wing of Math and the department of Dharmagama, Faculty of Sanskrit Vidyaa Dharma Vijnana, Banaras Hindu University. Learned scholars from the various parts of India have discussed different aspects of Virasaivagamas and their implications on the religious and social life. In presidential address Prof. Shivakumar Swamy has advocated the relation of Veda and Agama, the parallel streams of our scriptures. Both the scriptures were manifested by Siva himself. The time of the scriptures cannot be ascertained correctly. Mahamohopadhyay Gopinath Kaviraj holds that scriptures are eternal and revealed by Siva himself. It may be revealed in any time and at any place and also goes back again to the sphere of Reality as per the will of God. So, historical enquiry regarding the time of the revelation of scriptures is irrelevant. The knowledge and practice of Agama is practically flowing with the tradition. But the study of the historicity of the events continues. 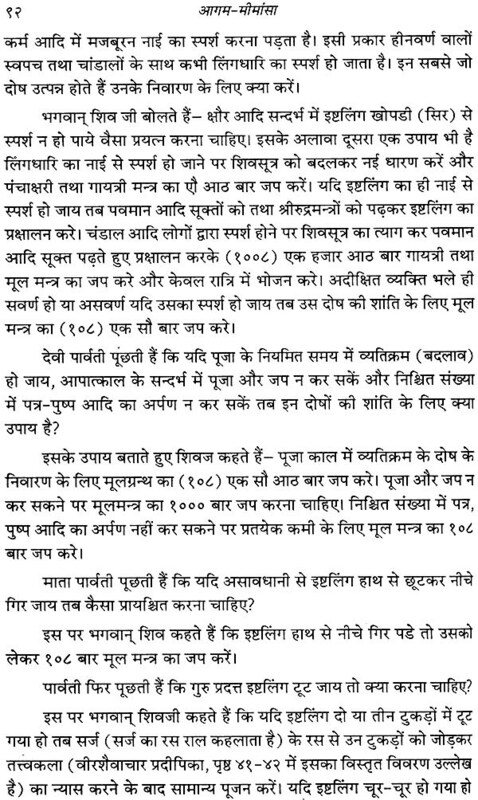 So, according to the scholars, Saivagamas are found near about 8th century A.D. Prof. Swamy has stated the principal tenets of Virasaivism that have been described in the later portion of 28 Siddhantagama as per the information provided by Sri Siddhantasikhamani, the celebrated work of great Sivayogi Sivacarya. 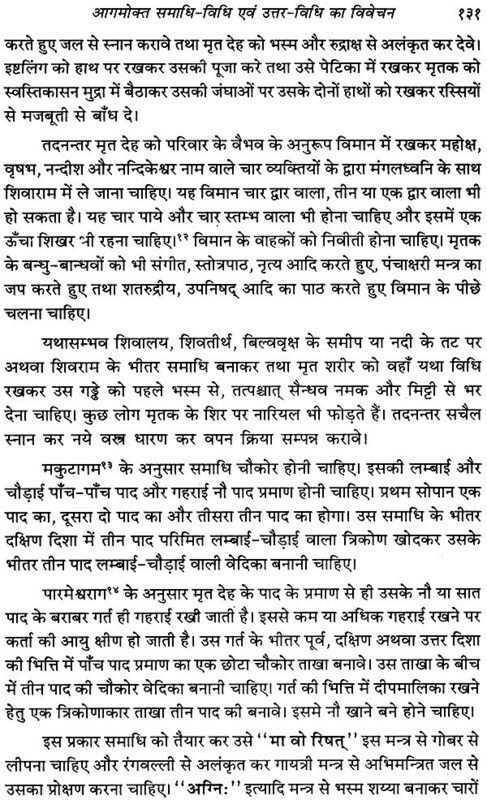 Prof. Pratap has nicely stated the life-sketch and contribution of Jagadguru Virabhadar Shivacharya who was a great religious personality with profound scholarship. Immense is his contribution in spreading the teachings of Virasaivism. Sakti is nothing but the dynamic aspect of the ultimate Reality, Siva. According to Agamic philosophy the creation is the manifestation of the Reality and that is the spontaneous expression of the bliss of Saccidananda. The commotion in Siva, the static Principle as the expression of will assumes various forms of manifestations. This active aspect of Reality is actually the cause in the real sense. Soul as jiva possesses limited power. It is the– Sakti that makes possible the union of Siva and Jiva. Sivais inseparably in union with Sakti. 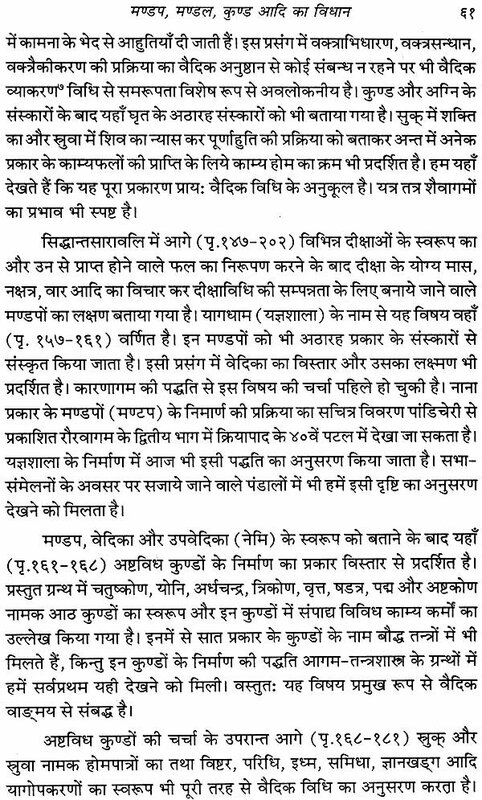 This teaching is named as Saktivisistadvaitavada. The nature and role of Sakti-tattva has been described elaborately by Mahadeva Sivacarya Swamy. Indian religious culture has developed various kinds of Yoga both in Vedic and Agamic stream. Prof. Jha has presented nicely and authentically the Agamic doctrine of Yoga. Though there are various means to attain the liberation, viz., knowledge, action and devotion, but most of the religious philosophy of India have advocated that these three are not separated from each other, rather amalgamated with one another. 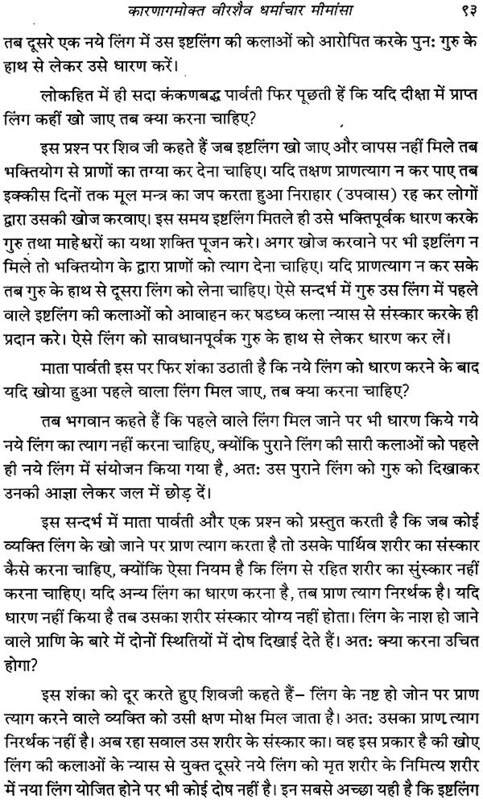 Devotion or Bhakti has got its own characteristics and value. 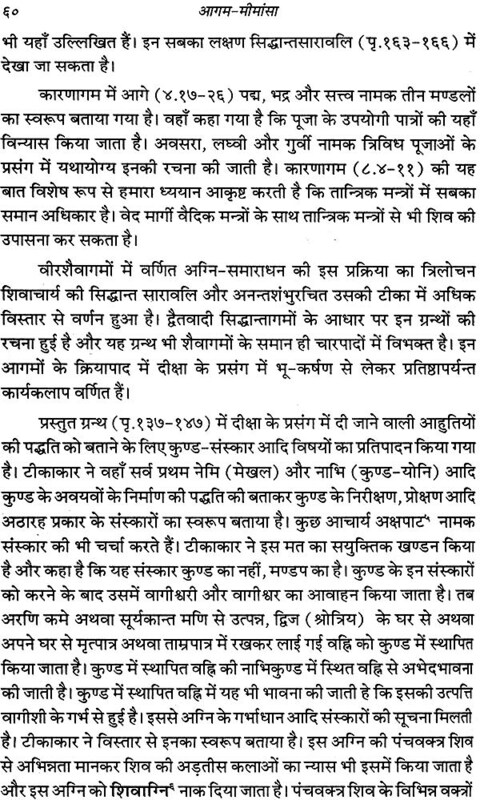 Dr. S. P. Pandey has stated the nature of devotion as depicted in Paramesvaragama. Acarya Vrajavallabha Dwivedi, and erudite scholar of Agama Tantra has depicted elaborately the process and procedure and the significance of Mandapa, mandala and kunda etc. for observing Agamic rites. Dr. Shivanand Shivacharya has narrated the twentyfive episodes of Siva's sport (Sivalila), the manifestation of his love as narrated it Suksmagama. Karanagama has preached the injunctions about the religious rites of the devotee. Dr. Siddharam Panditaradhya has described it properly. Virasaivagamas has advocated the process of worship of Siva including the rites of japa. K. M. Basavaraju has compiled them authentically in detaile. Pandit Jagannath Shastri Tailang has narrated the process of construction of Kunda, Mandap, Mandal and Sthandil as per the rules depicted in the Virasaiva Saivagamas, Vrata is a part of worship. 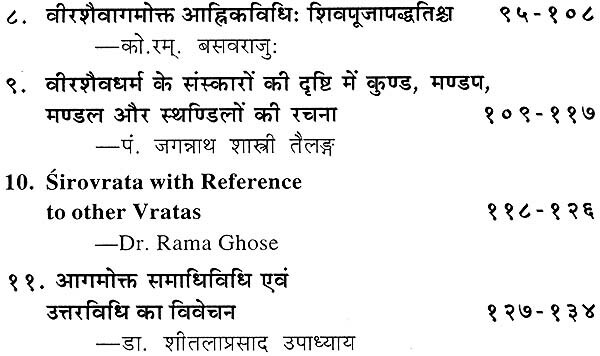 Dr. Rama Ghose has explained the meaning and significance of Vrata in the process of worship as described in Virasaivagamas and also has discussed some of the other Vratas advised in the various scriptures. Virasaiva scriptures have included a detailed instruction regarding the rules and regulations of the last rites of deceased . person. 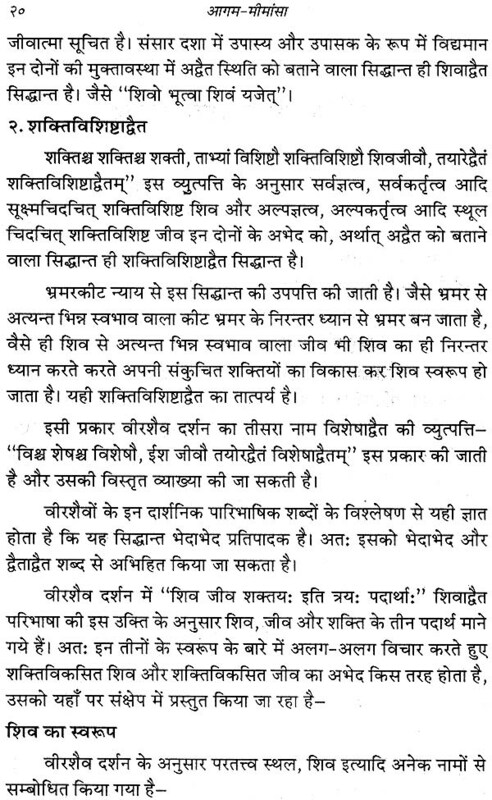 Prof. Shitla Prasad Upadhyay has given a detailed expression of this rite. Most of the writers have presented different aspects from the Kriyapada and Caryapada of Virasaivagama. These customary rites are traditional practices of the Virasaiva religious philosophy which are the essential requirent of the way of life to attain the end.